If a historian were to ever wish, 30 or 40 years from now, to examine what kinds of cultural shifts and phenomena were taking place in 2017 Ontario workplace, human rights legislation and case law would be a very useful place to start. The world has progressed, and so has the Human Rights Tribunal’s desire to move in tandem with its needs. One needs to look no further than the issue of marijuana use in the workplace to understand the way in which human rights are perpetually changing and adapting to a new generation’s needs. The taboos surrounding marijuana use have been a key feature of debate for years amongst law makers, policy makers, advocates, and employers, to name a few. The amount of time it took for formal legislation in Canada to come into place is but one example of the controversial nature of this drug, despite estimates by Statistics Canada that by 2024, 450,000 Canadians will be using marijuana at least for medical purposes. Medical marijuana use was legalized in 2014. Recreational marijuana will now be legalized by the federal government on July 1, 2018. For many employers, the idea of employees smoking or consuming marijuana may be an idea that they need some time to get used to – after all, is this not recreational drug use? Is that something that can or should be prohibited as an inappropriate practice in the workplace? The answer really depends on the circumstances involved. To begin with, once July 1, 2018 passes, there will no longer be anything illegal about recreational marijuana use. Common sense and well-drafted employer drug and alcohol policies should prevail for recreational use. Similar to alcohol, employees cannot, and should not, be arriving to work impaired due to recreational use. Single or repeated instances of impairment during work hours could be grounds for discipline and/or dismissal. Otherwise, however, after the July 1 legalization date, there will be likely nothing wrong with an employee choosing to use marijuana recreationally on his or her own time, outside of work hours. The question at that point really is one about attitudes towards marijuana use. There are, of course, two major exceptions to this rule about impairment and marijuana use in the workplace: the instance where an employee may be suffering from an addiction, and the instance where an employee is medically required to use marijuana to treat a condition or ailment. Both of these scenarios are the reason that human rights is relevant to this discussion. Drug, alcohol and narcotics addictions are recognized under the Ontario Human Rights Code as an illness, and therefore protected under the ground of disability as a characteristic based on which a person cannot be treated differently. In the case of Ontario Nurses Association v. Sunnybrook Health Sciences for example, a nurse who was dismissed for stealing from employer medicine stock was ultimately awarded reinstatement when she challenged her dismissal. The reason was because the employer, in dismissing her for cause, failed to account for her long term drug addiction which was ultimately the cause of her misconduct. Dismissing the employee in such circumstances was contrary to the Employer’s duty to accommodate her disability up to the point of undue hardship. Rather than dismissing her in a discriminatory manner, the employee should have been treated the same as any other employee suffering from a disability. The second exception also brings human rights considerations into play. 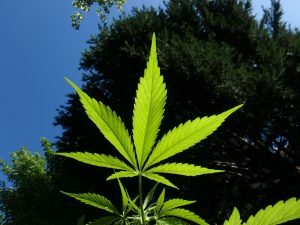 There are several conditions for which marijuana may be prescribed as a drug for treatment – hence the legalization of medical use of marijuana a few years ago. As with addictions, the treatment of an illness falls under the overarching protected ground of disability, in addition to the illness itself. Therefore, if an employee is prescribed medical marijuana, employers are under a duty to accommodate this use up to the point of undue hardship. Accommodation can take many forms. The first step should come from the employee who requires accommodation of medical marijuana use. Once an individual has informed his or her employer of a need for accommodation, it is then incumbent upon the employer to make all reasonable enquiries about the employee’s need. This is known as the employer’s “procedural duty to accommodate”. Employers are not entitled to an employee’s medical diagnosis; however, they are entitled to information from healthcare providers on how the employee’s marijuana use may affect their ability to complete their job. In instances such as United Steel Workers, Local 7656 v. Mosaic Potash Colonsay ULC, sometimes employers will be entitled to information on whether an alternative treatment to medical marijuana is available so that accommodation can take place without violating drug and alcohol policies that are already in effect in the workplace. Employers must come up with a plan in conjunction with the employee and his or her healthcare provider to accommodate the employee’s medical condition and treatment needs. Accommodation can take several forms – it could be that the employee will be provided with a designated smoking area for example, or that on days where there may be impairment, an employee is permitted to work modified hours or from home. In all instances, employers must be mindful of their obligation under human rights legislation to accommodate employees up to the high standard of undue hardship. The greatest area of contention for accommodation of medical marijuana use is when it directly conflicts with pre-existing drug and alcohol policies. There could be instances where overly restrictive enforcement of drug and alcohol policies results in a human rights code violation. One is example is where an employee is outright dismissed when caught impaired at work, and it later becomes known that the employee was impaired due to an addiction. As with accommodation plans, employers are well-advised to make all possible enquiries and investigate whether there are any human rights concerns involved before taking a sudden decision. As times and laws change, so will workplaces. In this exciting time, it is important for employers and employees to know their respective rights and obligation – but above all, they must also engage and communicate properly with one another. This is truly the key to effecting the changes that the law is hoping to bring in the coming years. For more information on this ever-evolving topic, Natalie MacDonald & Richa Sandill invite all interested to join them on Thursday November 2, 2017 for a free webinar on Marijuana in the Workplace. Click here to register.